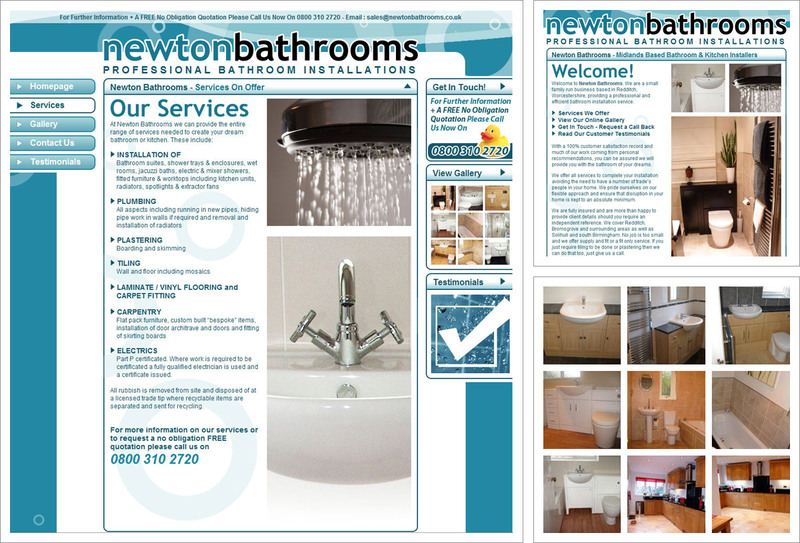 Local Redditch Bathroom and Kitchen Installer Newton Bathrooms wanted a no nonsense, professional looking website and a nice new logo. We obliged! The website tells customers about the services on offer, includes a gallery of completed projects and gives customers a way to get in touch using their contact details or the secure online contact form.